South Africa cannot be understood without being experienced, and it cannot be studied merely in a classroom. This course is thus a journey, including visits to vital Cape Town landmarks and meetings with powerful people in the contemporary cultural and political spheres. It is not merely a course about history and the past; it is about living and breathing South Africa today, in all its vibrant complexity. Program highlights include daily trips to profound historical locales, dialogue with cultural influencers and history-makers, and— most critically—time engaging with incarcerated individuals inside two storied Cape Town prisons that have played a vital role in the South African struggle since the Apartheid era. Throughout, we connect the revolutionary ideas of yesterday with those of South Africa today. Professor Dreisinger earned her Ph.D. in English from Columbia University, where she specialized in American and African-American studies. Her book Near Black: White-to-Black Passing in American Culture (University of Massachusetts Press, 2008) was featured in the New York Times Book Review and on National Public Radio. She is the founder and Academic Director of John Jay's Prison-to-College Pipeline program, which offers college courses and reentry planning to incarcerated men at Otisville Correctional Facility, and broadly works to increase access to higher education for incarcerated and formerly incarcerated individuals. Professor Dreisinger moonlights as a journalist and critic, writing about Caribbean culture, race-related issues, travel, music and pop culture for such outlets as the New York Times, Los Angeles Times and Wall Street Journal, and producing on-air segments about music and global culture for National Public Radio (NPR). Together with Oscar-nominated filmmaker Peter Spirer, Professor Dreisinger produced and wrote the documentaries Black & Blue: Legends of the Hip-Hop Cop, which investigates the New York Police Department’s monitoring of the hip-hop industry, and Rhyme & Punishment, about hip-hop and the prison industrial complex. Professor Dreisinger's book Incarceration Nations: A Journey to Justice in Prisons Around the World was published in Febraury, 2016. 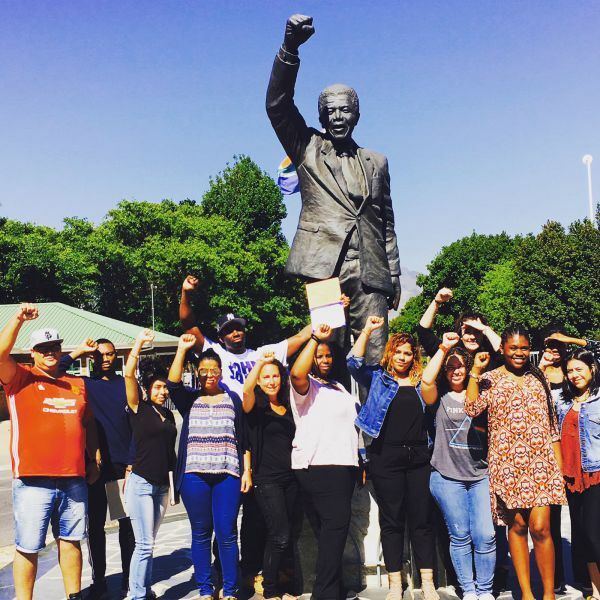 The Culture of Race, Resistance & Revolution (3 credits): This course provides students with a deeper understanding and appreciation of the key issues facing South Africa, then and now, as related to three things that have shaped the nation: race, resistance and revolution. Starting with pre-colonial South Africa and lingering in the contemporary cultural sphere, we look to understand the “why” and “how” of South Africa’s recent history, and the deep roots of debates in the country up to the present day. Our aim is to get a handle on South African culture beyond the too-simple Mandela-as-savior veneer, with an emphasis on the “born-free”/post-Apartheid generation and the country’s present-day criminal justice crisis. 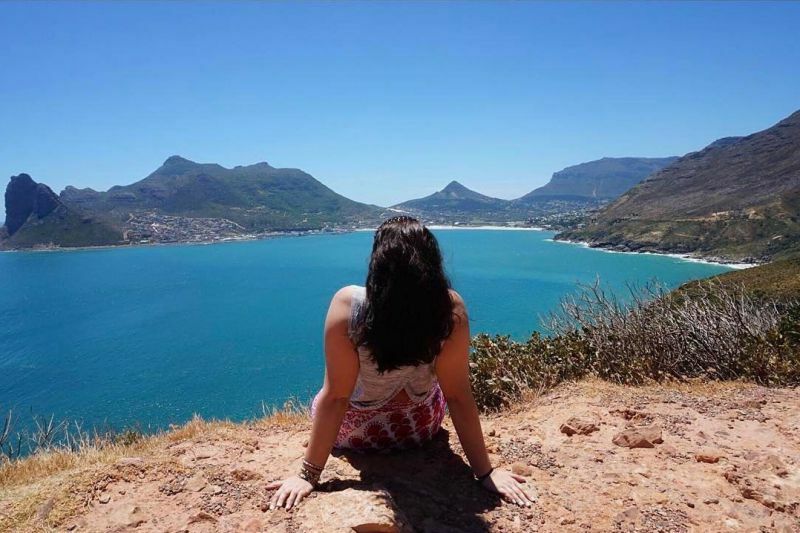 Students will explore South African culture through an interdisciplinary lens, considering literature, film, memoir, music, journalism, pop culture, primary and secondary historical sources and criminal justice texts. Click here (pdf) for course syllabus. Housing: Students will stay in double-occupancy dormitory accommodations at University of Cape Town. **Subject to change. Includes double occupancy accommodations, international health insurance, excursions and transportation associated with program, and various University of Cape Town (UCT) amenities. 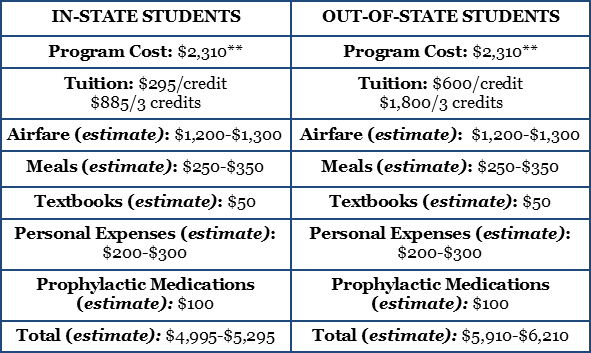 Does not include tuition, airfare, most meals, textbooks, personal expenses, personal excursions and transportation, etc.